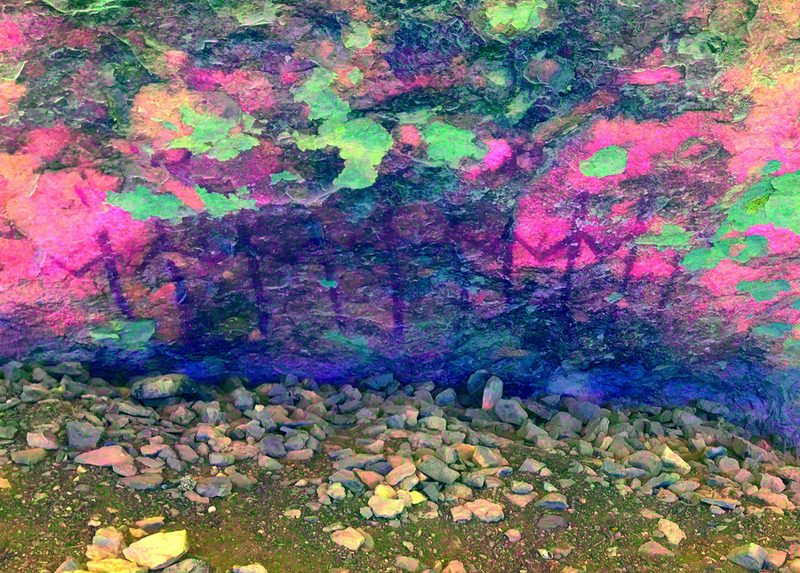 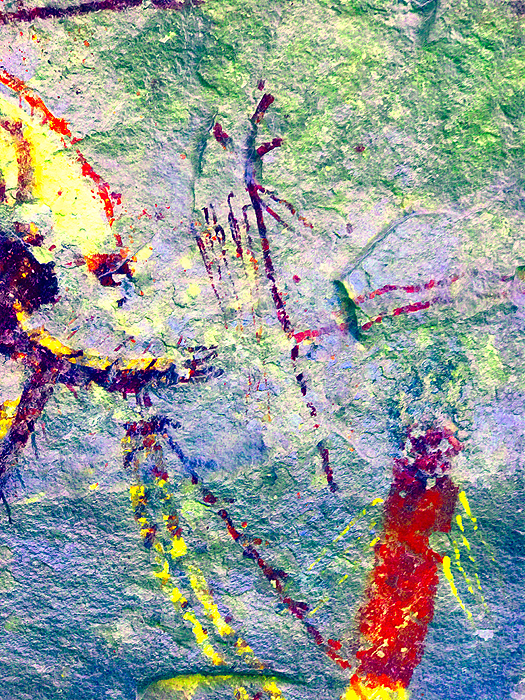 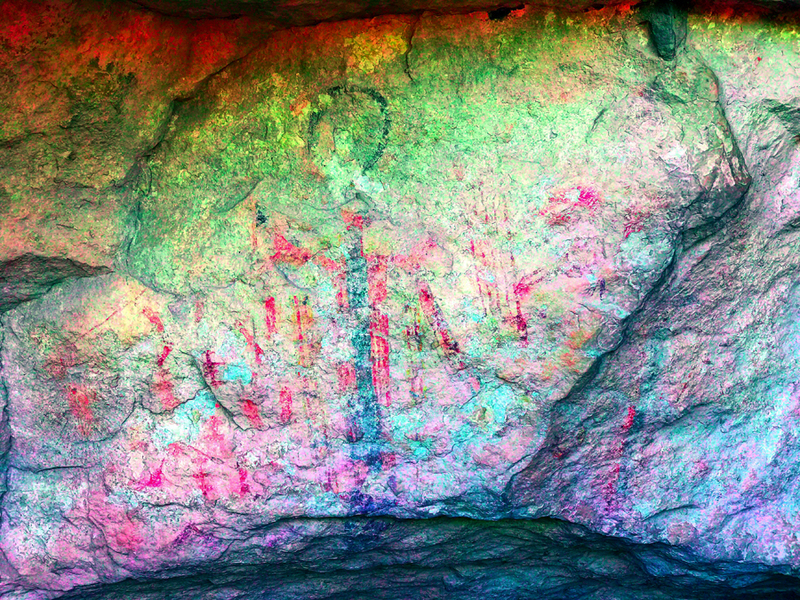 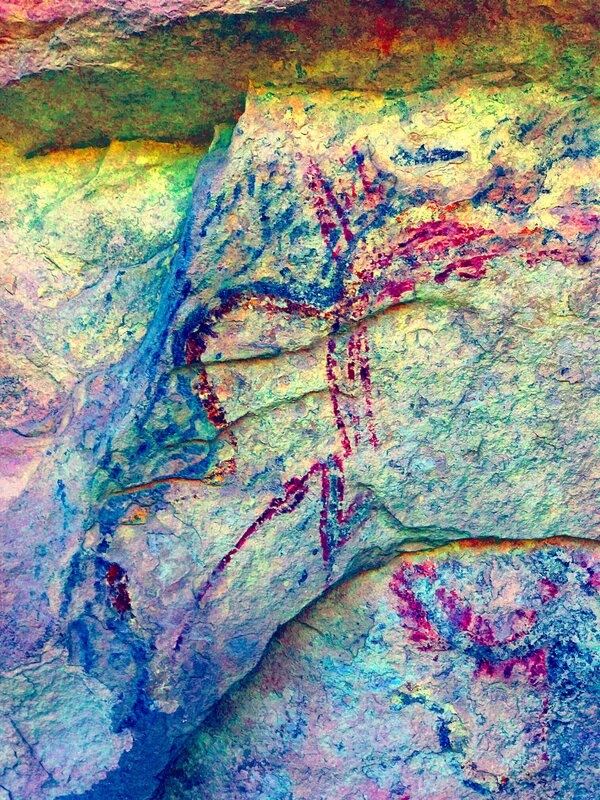 Rock Art in Fate Bell Shelter, Texas. 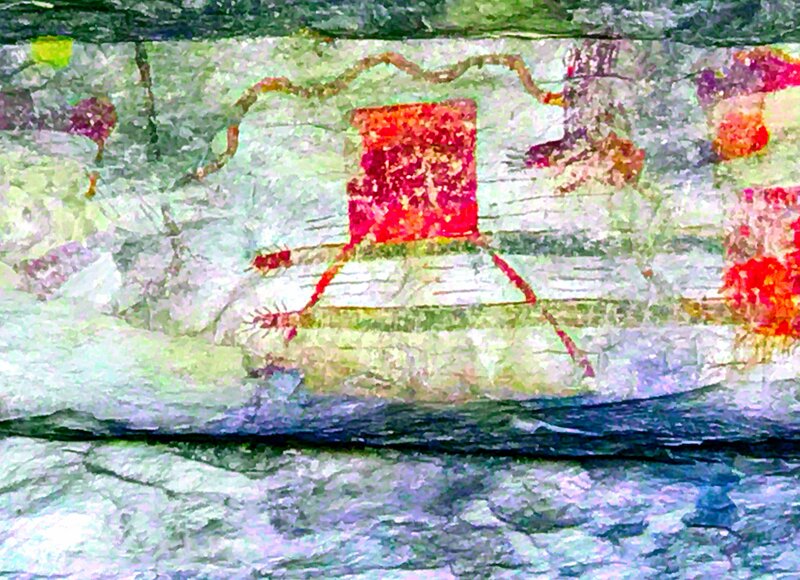 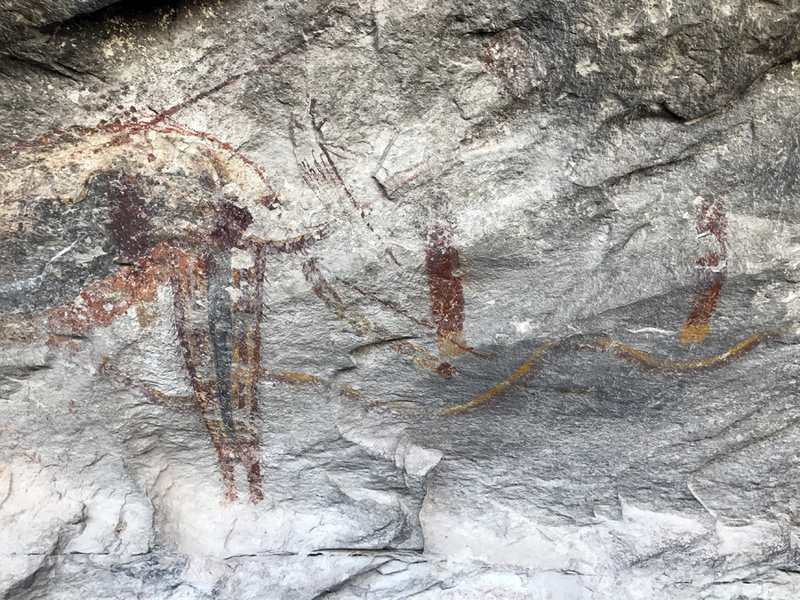 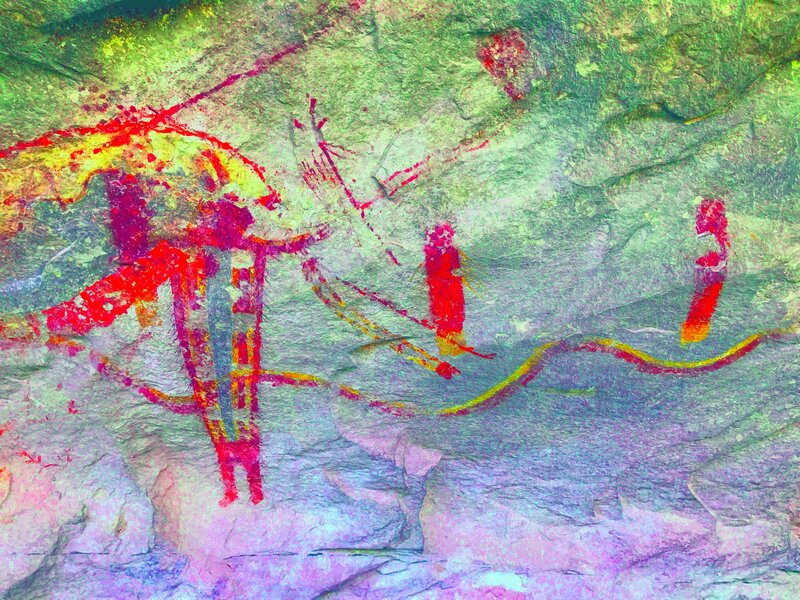 DStretch image (lds filter) and normal digital image of a pictograph at the Fate Bell Shelter in Seminole Canyon State Historical Park, Texas. 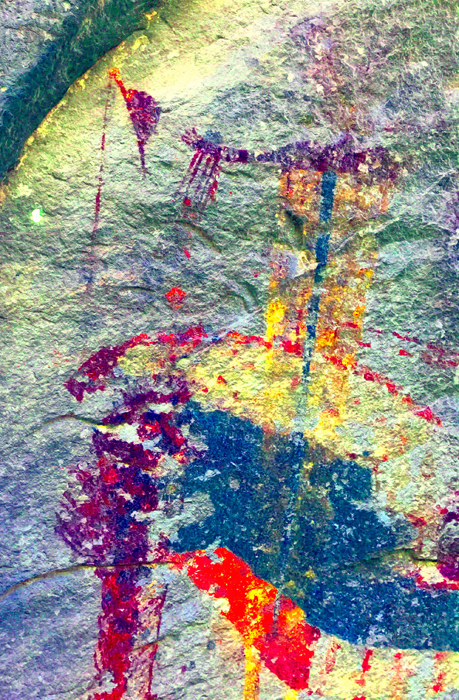 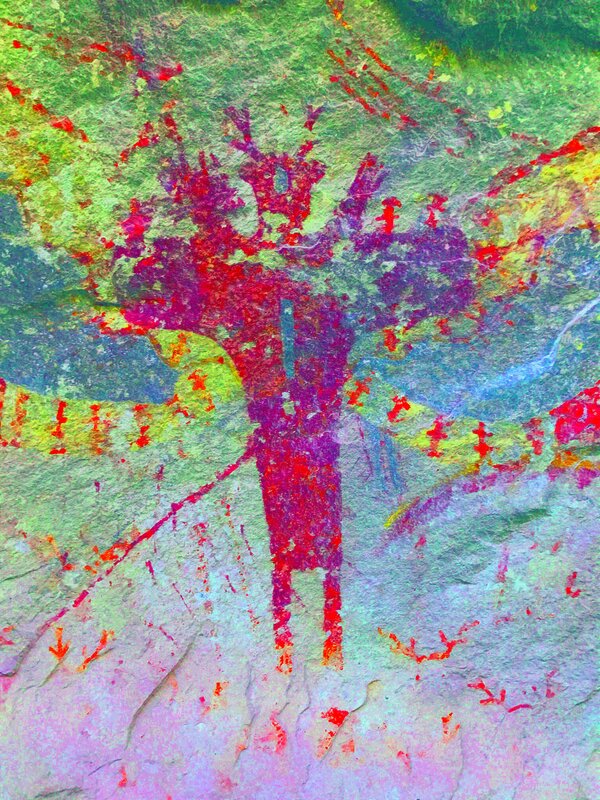 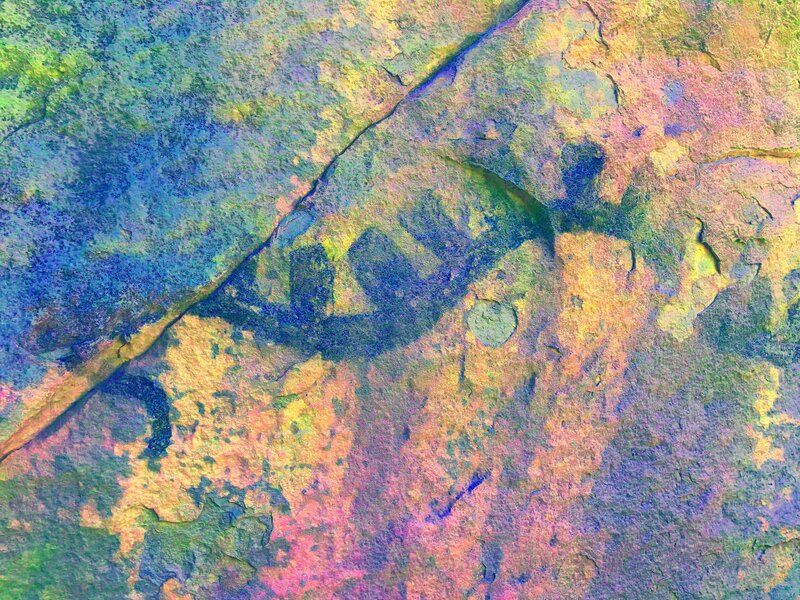 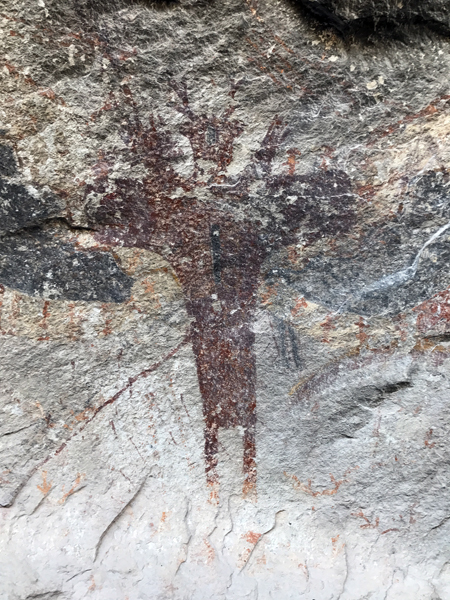 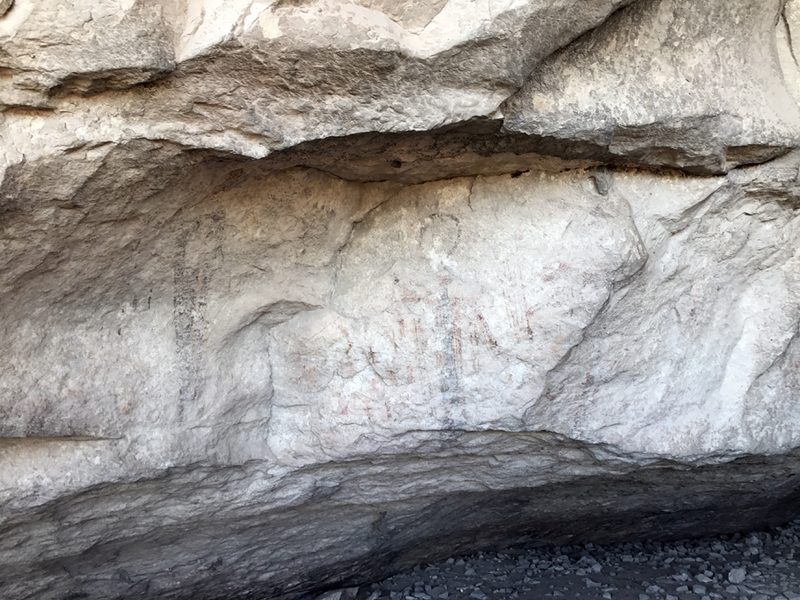 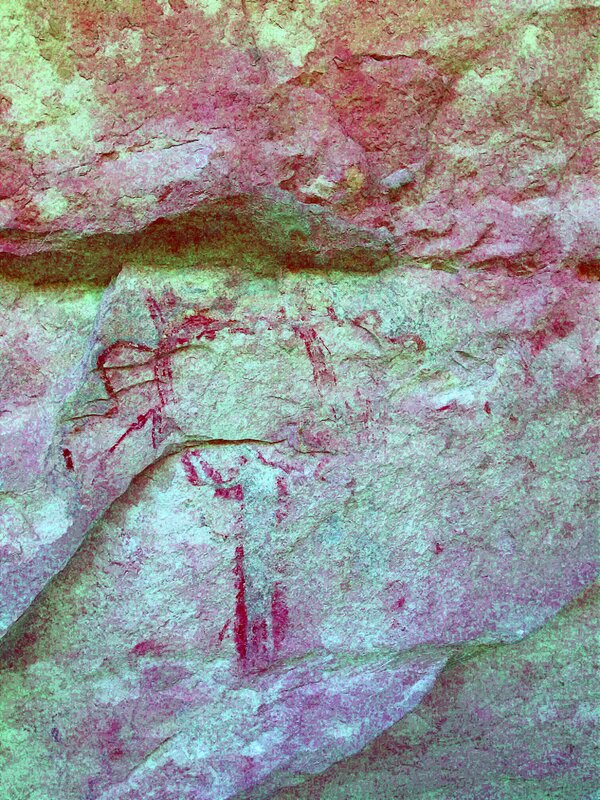 DStretch image (yxx filter) and normal digital image of a pictograph at the Fate Bell Shelter in Seminole Canyon State Historical Park, Texas. DStretch image (lab filter) and normal digital image of a pictograph at the Fate Bell Shelter in Seminole Canyon State Historical Park, Texas. 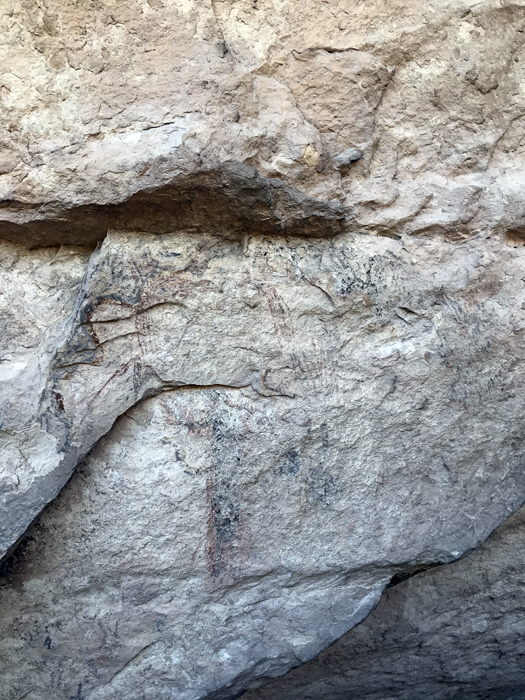 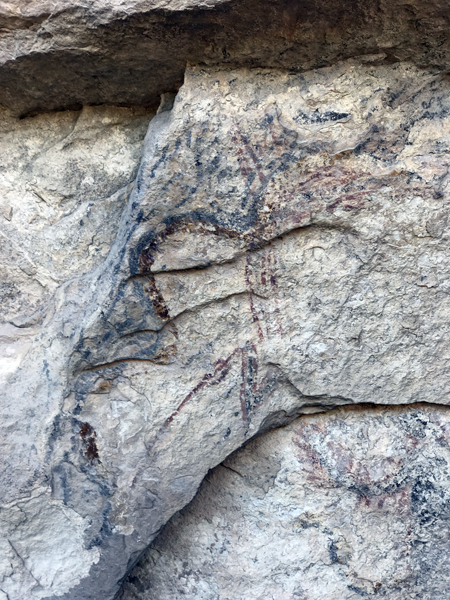 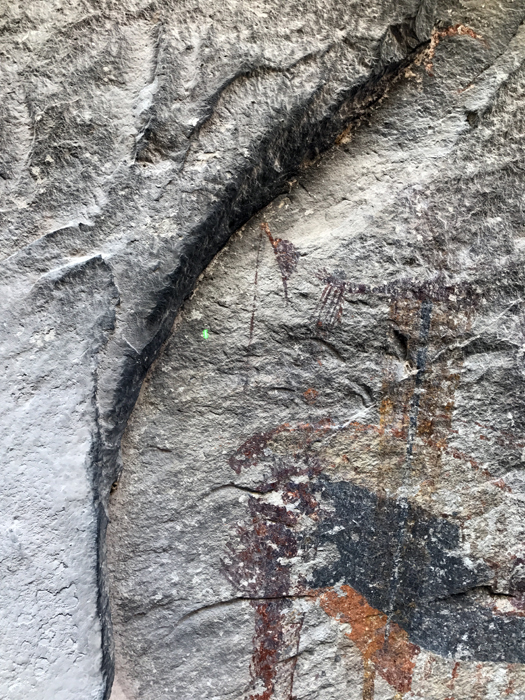 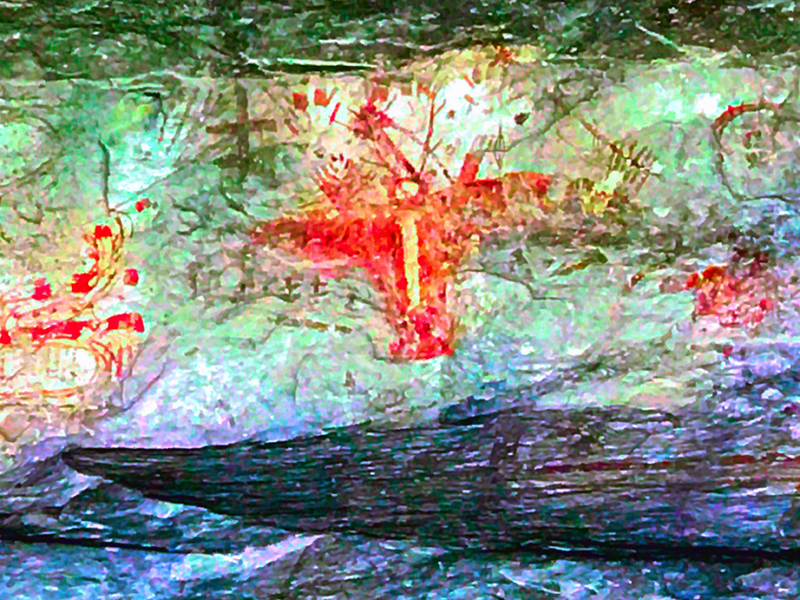 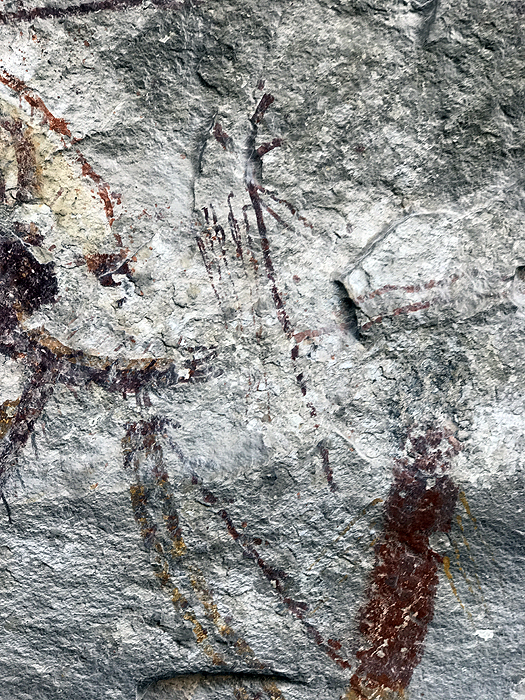 DStretch image (ybk filter) and normal digital image of a pictograph at the Fate Bell Shelter in Seminole Canyon State Historical Park, Texas. DStretch image (yrd filter) and normal digital image of a pictograph at the Fate Bell Shelter in Seminole Canyon State Historical Park, Texas. 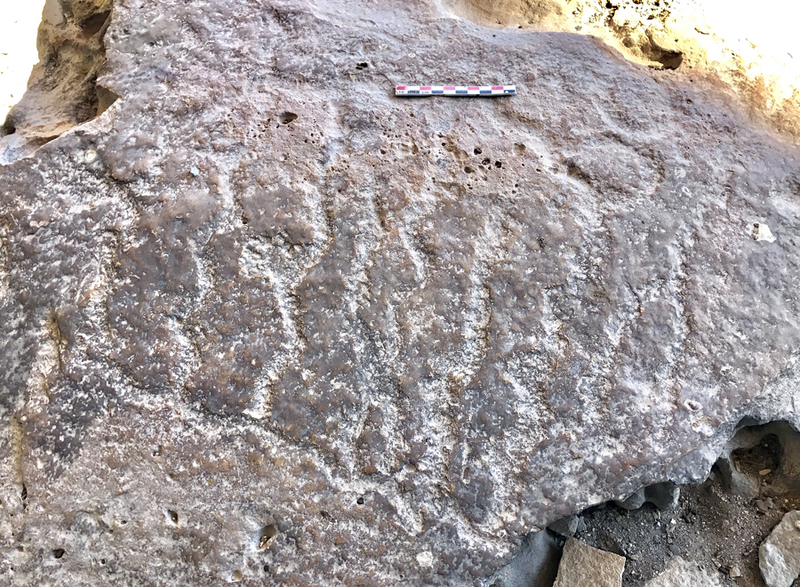 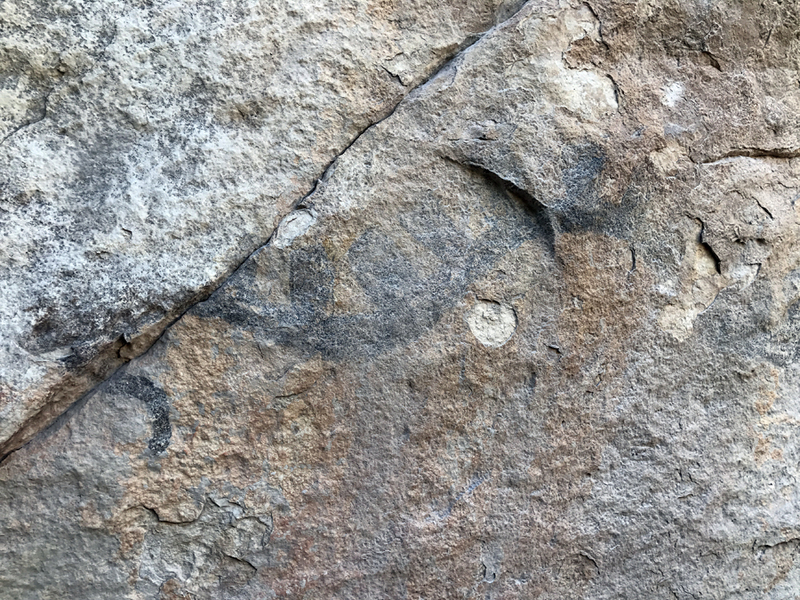 Petroglyph panel on a boulder at the Fate Bell Shelter in Seminole Canyon State Historical Park, Texas. 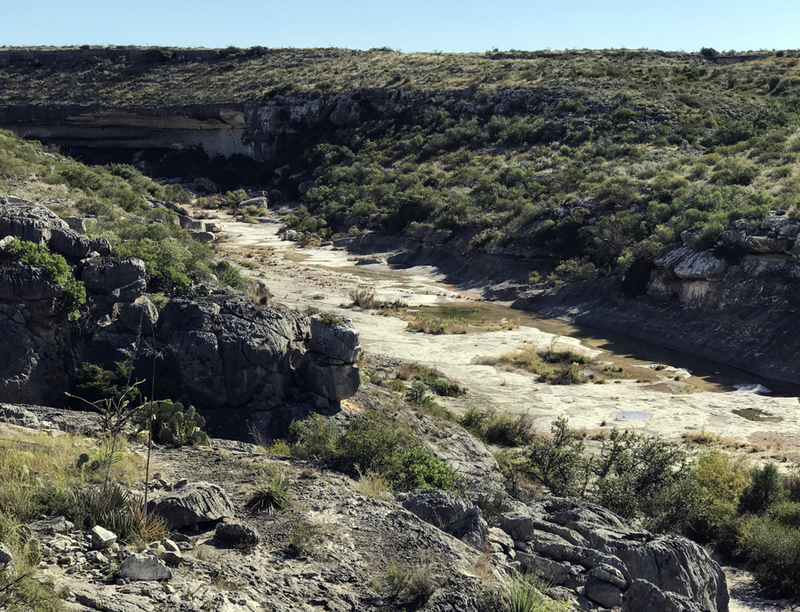 View of canyon at Seminole Canyon State Historical Park, Texas. 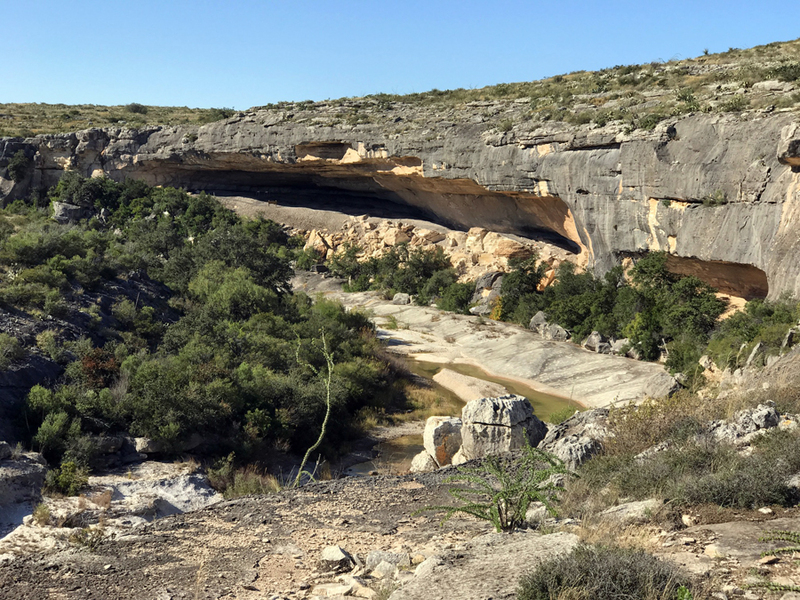 View of the rockshelter while hiking on the trail in Seminole Canyon State Historical Park, Texas. 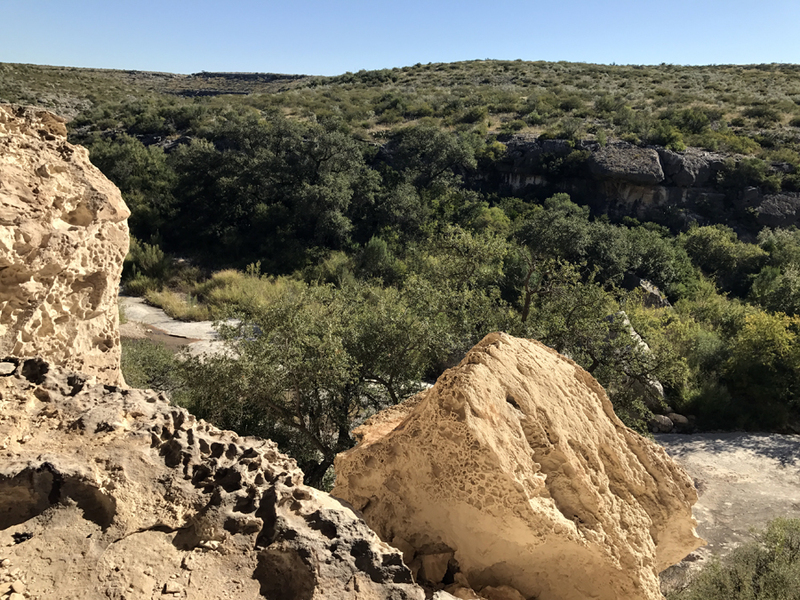 View from inside Fate Bell Rockshelter in Seminole Canyon State Historical Park, Texas. 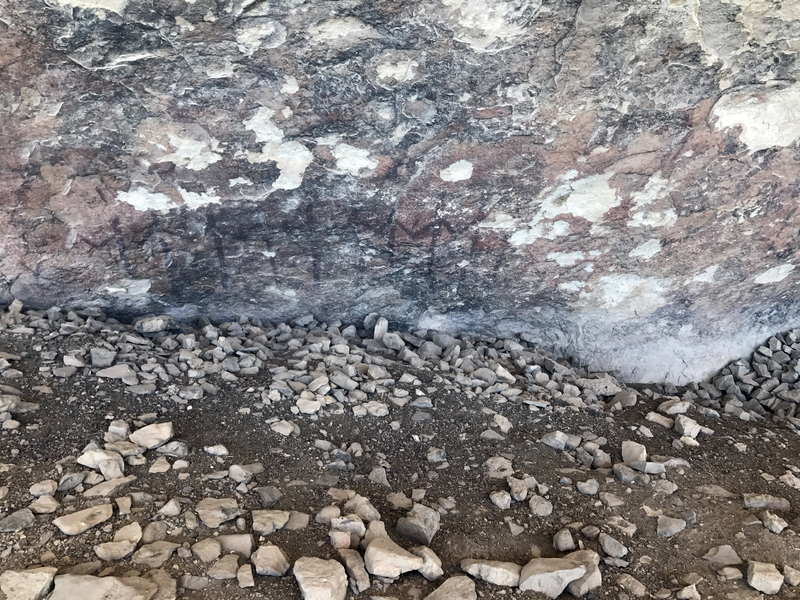 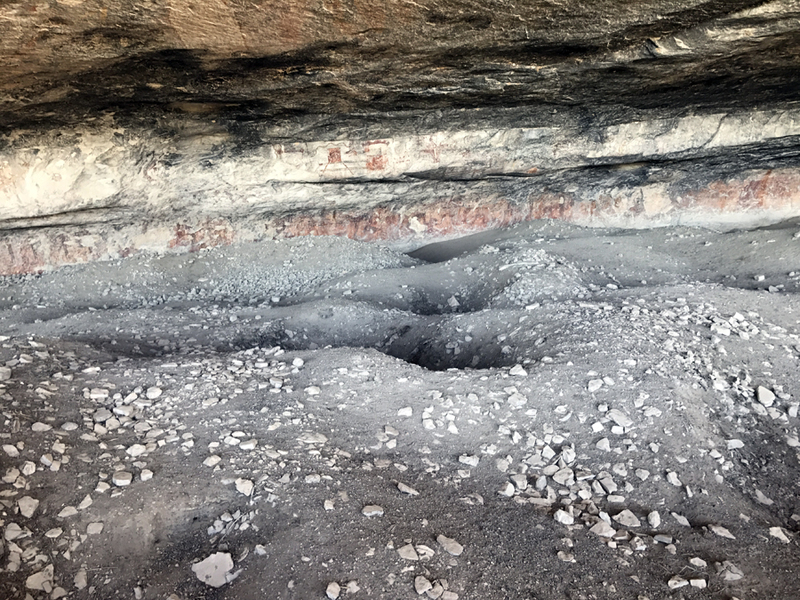 Looting pits in the floor of the Fate Bell Shelter in Seminole Canyon State Historical Park, Texas. 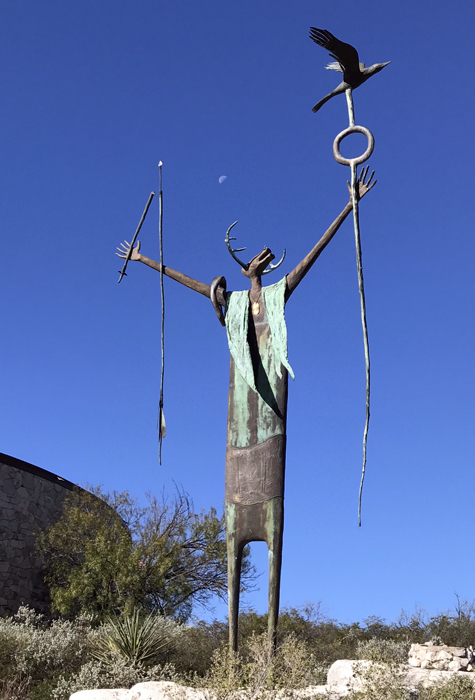 Modern sculpture outside of the museum above Fate Bell Shelter in Seminole Canyon State Historical Park, Texas. 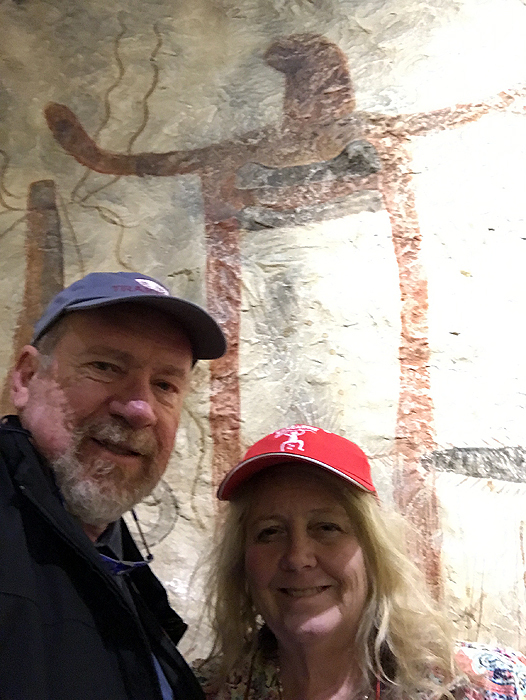 Selfie portrait of Professors Michael and Neathery Fuller taken inside the museum above Fate Bell Shelter in Seminole Canyon State Historical Park, Texas.